Over the past 30 years, we have built our success on conservative and preventive dentistry. Our dentists work with patients to detect problems early and maintain optimal health. 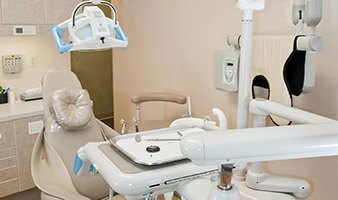 With the latest in dental technology, advanced training and a multitude of treatment options, we work to provide the highest quality dental care for every smile. We even offer sedation dentistry! Your care and comfort is our top priority. We treat each patient the same way we would treat a family member. We are proud to offer multi-specialties at Meriden Dental Group. No running around town… no inconvenient referrals…no appointment hassles. Just the continuity of care you need for the best oral health! We fit your schedule. Never miss school or work again. Orthodontics, implants, wisdom teeth extractions & more. Dental insurance maximized and flexible financing available. At Meriden Dental Group, our team is committed to providing every patient with an exceptional experience from the moment they first walk through our front door. Your initial appointment will begin with a comprehensive exam so that we can fully understand the current state of your oral health. Then, we will ask questions, offer recommendations for treatment, and listen to your concerns and needs. We always care about what you have to say; your satisfaction and comfort are our top priority. If you’ve been searching for a dental practice that promises quality, respect, and personal attention, we can’t wait to welcome you to our Meriden, CT, location. I never have to wait long. I am made to feel the most important patient in the practice. I am treated with care, patience and gentleness. I highly recommend them to all of my family and friends. The respect and kindness and care I received is beyond words. The communication is the best, very clear and all questions answered. Very honest and upfront with the treatment and what to expect with the healing. Absolutely the best dentist in CT! Staff is equally talented and friendly. I no longer dread going to the dentist, whether for a cleaning or other dental care. My teeth and smile haven't been in this great shape in years.